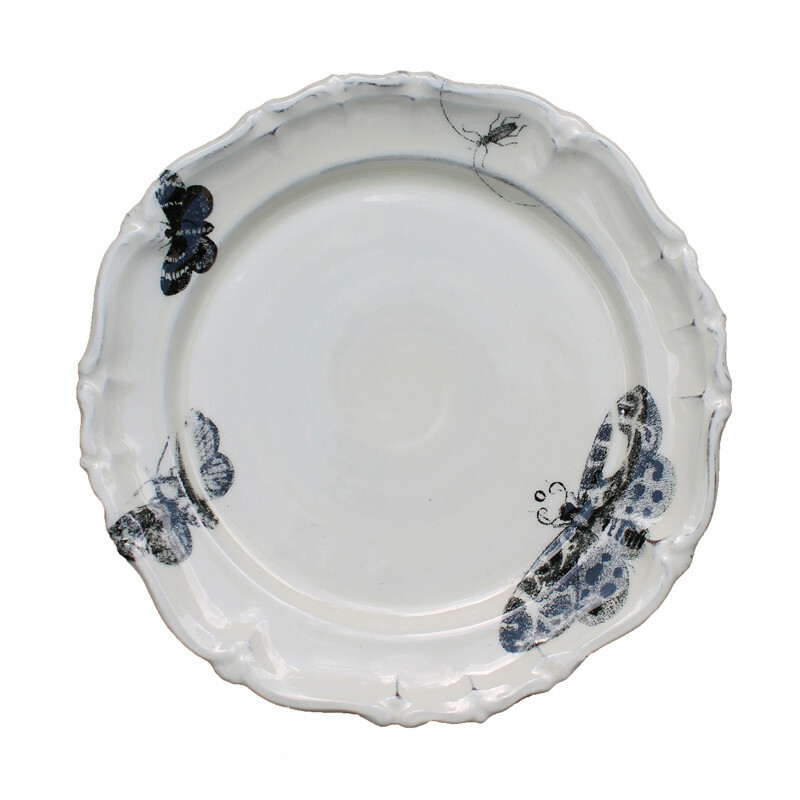 These distinctive and beautiful plates are part of Elisabeth's nocturne collection. The delicate moth pattern is created by black print on white slip giving a rustic but sophisticated feel. 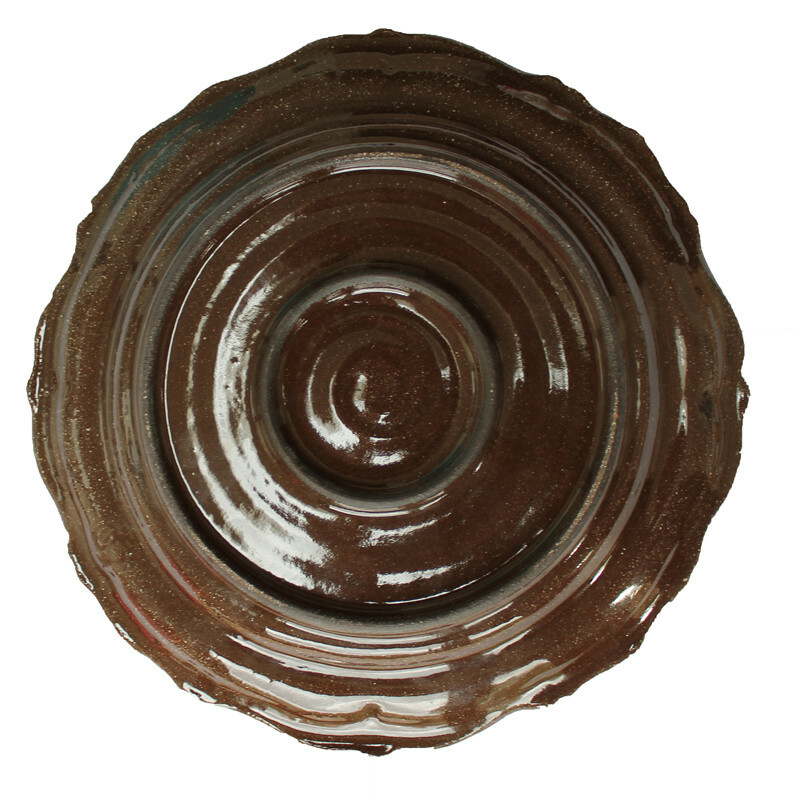 The base is finished with a clear glaze giving a chocolate colour which adds to the charm of the plate. An ideal wedding gift or a unique gift for lovers of unique tableware. 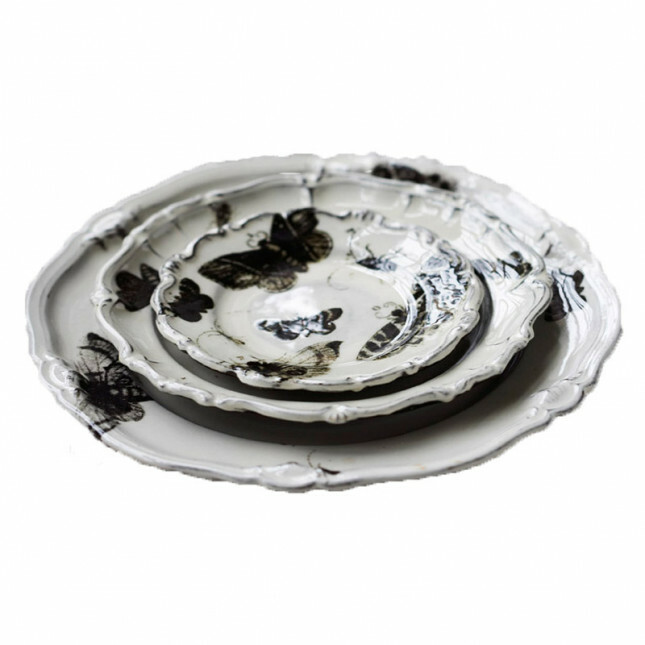 Moth patterns vary slightly on each plate as can be seen in the two plates shown here. Please note that this piece is handmade and, as with all designer ceramics, small variations may occur from image shown.